Reprogramming denotes changing the state of any form of cell to a pluripotent cell. 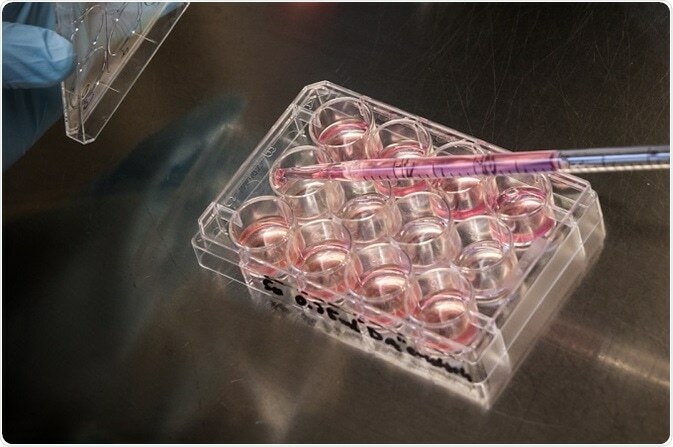 Induced pluripotent stem cells (iPSCs) are a kind of pluripotent cell generated from adult somatic cells that have been reprogrammed to act as stem cells using specific transcription factors. These cells are capable of multiplication as well as differentiation to other cell types such as muscle, nerve, liver cells, etc. The use of embryonic stem cells (ESCs) is governed by various ethical issues because of the need to use embryos in research and clinics; iPSCs, on the other hand, do not have any such complications. For this reason, iPSCs can potentially replace stem cells in the field of therapeutic medicine. Many diseases can be modeled using iPSCs. These can help in understanding their etiology, which in turn may be used in developing potential treatments for these diseases. The boon associated with iPSC discovery is that the method can be used for generating patient-specific cells. These cells can be transplanted to the site of tissue injury or tissue degeneration (whatever be the underlying disease condition) and used for treatment. This method also ensures that there are no immune rejections. The method has been used for modeling of various diseases as well as for gene therapy of specific disease states; the need for animal models may now come down. Pharmaceutical drugs, new or hazardous chemical compounds, environmental scenarios can all be studied for their usefulness/efficacy, toxicity/side effects/neutrality, and the like can all be evaluated by using iPSCs. There are still many challenges in reprogramming cells to pluripotency and using the pluripotent cells for the earlier mentioned areas. Some of these are discussed below. It is already known that each ESC line is found with its own clonal differences. But with iPSCs the diversity has been found to be still greater. Factors include maintained epigenetic memory, genetic background, and features incurred on reprogramming have been cited as possible reasons for the clonal diversity if iPSCs. Furthermore, there have been reports of ‘incomplete’ iPSCs, in the sense of reprogramming not being complete. Although such cells show similarities to ESCs, they also exhibit defects such as poor quality differentiation, low rate of growth, aberrances in transcription, addition of methyl groups to a DNA molecule, regulating chromatin level, or contributing to chimeras. This in turn would mean having a set of evidence-based criteria for selection of completely reprogrammed cell lines. However, there are no sufficient reports of clear-cut links between the phenotype markers and molecular markers in these cells. iPSC research is just about a decade old. A variety of cell types (cord blood, T and B lymphocytes, keratinocytes, pancreatic β cells, amnion-derived cells, adipose SC, neural SC, astrocytes, dental pulp SC to mention a few) have already been reprogrammed. The initial problems were related to integration of viral vectors as a possible risk of tumourigenicity as well as the presence of animal-derived components in iPSCs. Advances in technology have now made possible the use of integration-free methods and xenofree cultures. Nevertheless, protocols for induction of pluripotency are still diverse: different combinations of transcription factors, different vectors, different periods in culture, different passages, and different methods of selection. The lack of a consensus points to the absence of a clear uniformity needed for clinical therapeutic applications. Epigenetics of somatic lineage have been reported in at least a dozen studies, indicating that iPSCs vary from ESCs regardless of their imparted pluripotency. An almost equal number of studies came out with the findings that did not match with these. Some other studies, however, did find characteristics indicative of defective differentiation in iPSCs and that the HERV-Hs (40%) in the complete set of human genes may be temporarily activated during the reprogramming process. All these make it at least clear that more work will have to be done to obtain a basic level of clarity. In the area of cardiovascular applications, the major challenge in using iPSCs has been poor cell engraftment: iPSCs have consistently not shown long-term survival, engraftment to the host myocardium and successful integration with the cardiac syncytium. Although it is believed that this may be associated with the low regenerative capacity of the heart, the limited engraftment and the inability to track the cells delivered in vivo have made some question the postulated benefit of using iPSCs. Although iPSCs are known to have eliminated the ethical concerns related to the use of ESCs, questions related to genetic privacy still remain. As any iPSC line will have the genetic information of the donor, all uses of iPSCs should have a clause relating to protecting the donors’ privacy.